Iraq and Iran signed an agreement providing for the payment of Iraqi debt to Iran, according to Iranian media, today. 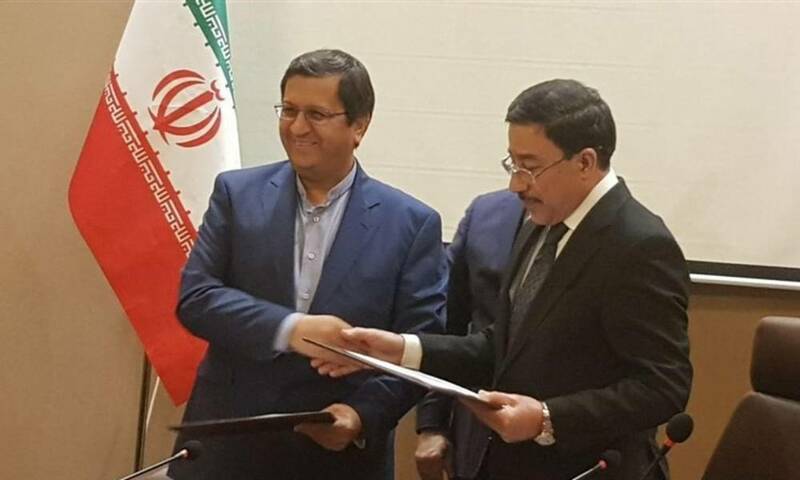 According to the media, the signing took place in Baghdad during a meeting between the governor of the Central Bank of Iraq Ali al-Alaq and his Iranian counterpart Nasser al-Hatti. The governor of the Central Bank of Iran after the signing of the agreement that he has confidence on reaching the desired results through cooperation with the Iraqi government and the rapid follow-up of economic relations and find the necessary financial channel. The agreement signed after a four-hour meeting between the two sides witnessed the arrival of the mechanism to pay Baghdad debt to Tehran, resulting from exports of Iranian gas and electricity to Iraq. Abdul Nasser Hamati expressed his hope to raise the level of financial relations between the two countries, saying that Iraq is Iran’s largest trading partner and that the continuation of these relations between Baghdad and Tehran requires the strengthening of banking relations between them. In contrast, Al-Alaq said that the Central Bank of Iraq is doing its best to overcome any obstacles to the banking, financial and economic cooperation between Iraq and Iran. These Iranian moves come in order to ensure the supply of Iraq’s financial dues in order to minimize the losses and effects of US sanctions and to secure a financial resource that supports and strengthens Iran’s exchange rate markets.